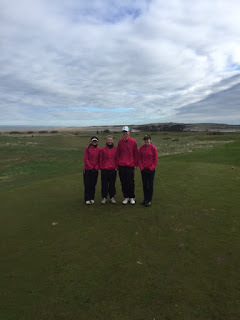 The FCLGA Junior Team competed in the annual Cuthbertson Cup at Craigielaw Golf Club on Sunday 17 April on a bitterly cold and windy day. 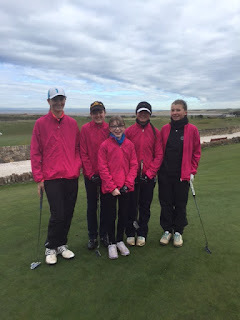 The team played Midlothian in the morning single matches and despite the girls playing great golf they narrowly missed out on reaching the afternoon final. (The Midlothian team were the eventual winners beating Stirling and Clackmannan in the final.) The FCLGA team played East Lothian in the foursomes to determine 3rd and 4th place and again the girls played really well to secure a very fair half match. 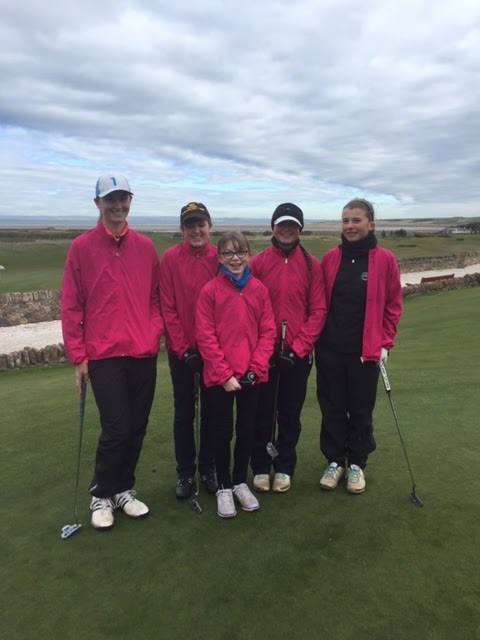 The FCLGA Junior Team were Jenna Downie, Eilidh Henderson (reserve), Evanna Hynd, Anna McKay and Porscha Wilson (Captain). This is a relatively young team and it is a tremendous achievement to win and half matches with players who are more experienced and about to come to the end of their junior careers with every likelihood of moving into their respective senior teams. FCLGA has a promising Junior Team and one which with continued support from our members will surely succeed in years to come. On behalf of the team I would like to thank everyone who supported the girls on the day and we look forward to seeing you again at future events.